Coverage for all cultured marble vanity tops lasts from 3 years from the original date of purchase. For more information please call 1-855-995-5578. VersaStone delivers the new look in solid surface tops and sinks. Whether you choose the Matte white or solid white finish, Versa Stone's pure acrylic composition boasts anti-scratch and anti-yellowing technology. Pore less, seamless and easy to clean, VersaStone is as easy to maintain as it is easy on the eyes. VersaStone: a versatile, smart choice the modern bathroom. 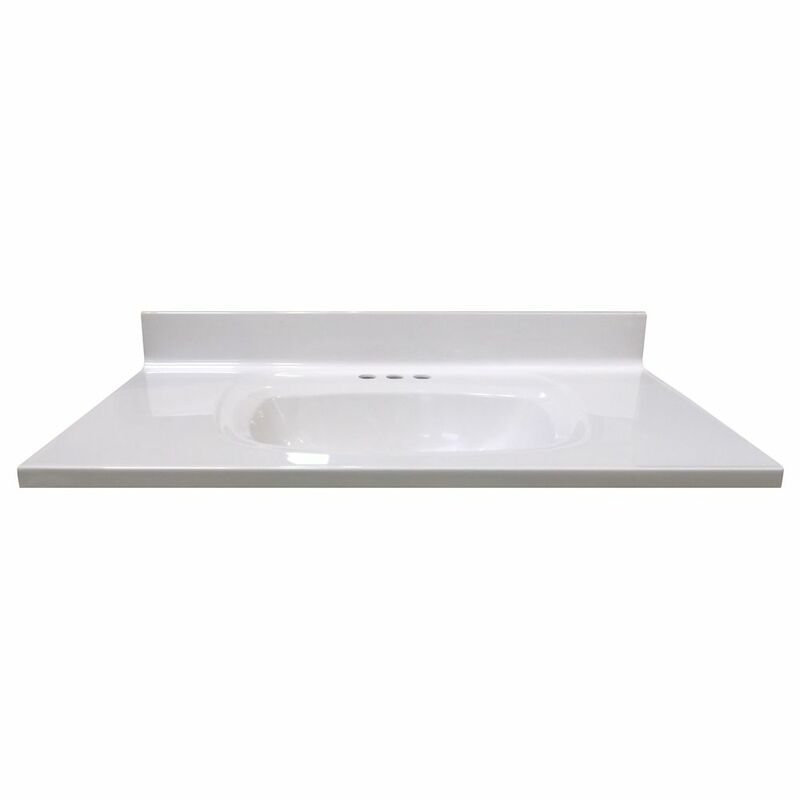 37-Inch W x 22-Inch D Vanity Top in White with Rectangular Recessed Bowl Add a sophisticated look to your bath. Our cultured surfaces provide durability and a heightened resistance to thermal cracking. 37-Inch W x 22-Inch D Vanity Top in White with Rectangular Recessed Bowl is rated 3.0 out of 5 by 2. Rated 5 out of 5 by Dickie1987 from Great vanity top for the price. Basic, yet elegant enough for the price. Pretty simple to install. Rated 1 out of 5 by Drum guy from Low price You pay for what you get . The casting was not good , I had to grind back to fit against wall . Came with a chipped corner .